Ron Bizzle shot a video of Shannon and Beth’s last concert. Unfortunately the cafè is not fully rezzed, entire walls are missing in the video. Thank you to Ron Bizzle for shooting the concert. 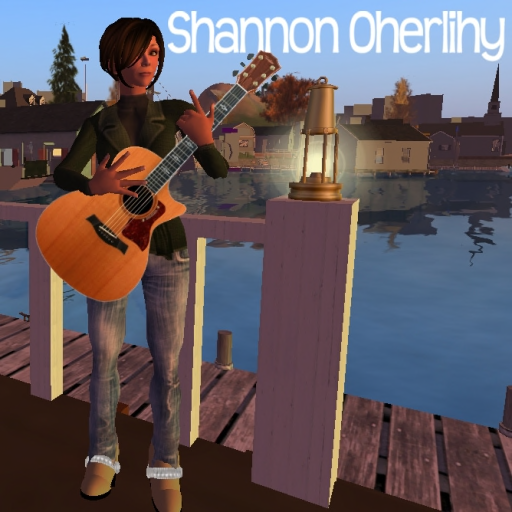 Shannon Oherlihy (Shannon McMahon in real life) is a singer/songwriter/ guitar player based in Stratford, CT.
She has been singing since she was a little girl, when she sang into her hairbrush along with Carly Simon records. When she was nine, she got her first guitar, and started writing her own songs at the age of ten. 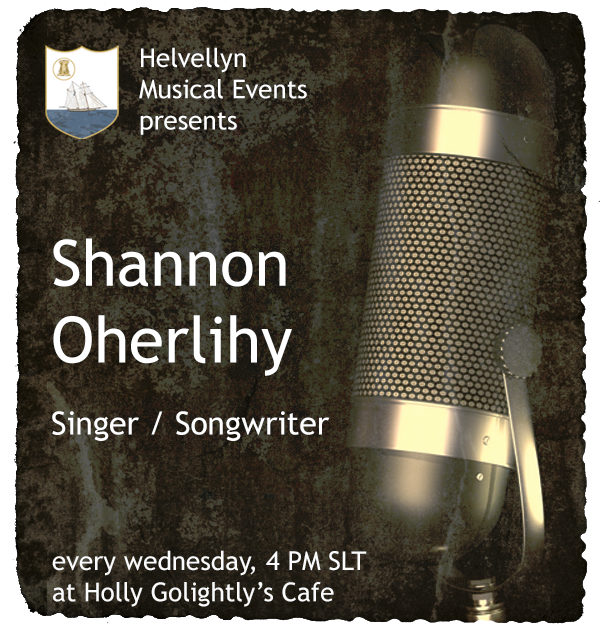 Inspired by the music of John Denver, Gordon Lightfoot, Joan Baez, Joni Mitchell, Judy Collins and Bob Dylan, Shannon found her musical roots in contemporary folk. Shannon’s music available on iTunes, CD Baby & MySpace.